1 What Is Sacroiliac Joint Pain? This condition involves the sensation of pain within the sacroiliac joint. This structure forms part of the interface between the pelvis and spine. Unlike other joints in this region, it does not have an important function in moving the pelvic bone in relation to the end of the spine. However, it does have some role to play in the normal function of this part of the body. Pain in the sacroiliac joint may affect functional status and the quality of life for those affected. Must Watch Video – What is Sacroiliac Joint Pain? The sacroiliac joint is formed between one side of the sacrum (a bone forming the termination of the spine) and the inner portion of the ilium (or wing-like bony protrusion of the pelvis, which also forms some of the hip joint). 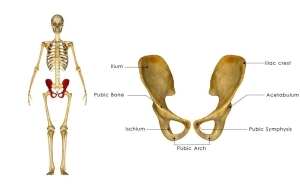 The ilium and sacrum may fuse together into one bone, which is associated with aging. This may cause the breakdown of the protective material covering the individual joint surfaces. This protective material is known as cartilage. Cartilage dysfunction or damage is associated with a painful condition known as degenerative arthritis. If the sacroiliac joint becomes subject to arthritis, it may cause chronic pain due to inflammation and direct contact between the bones. Sacroiliac joint pain may be perceived as localized within the joint, and also in the rest of the pelvis. This pain may increase when in a standing position or when walking, but may be reduced if in a recumbent position. Degenerative arthritis of sacroiliac cartilage is a prominent cause of this condition, as outlined above. This material lines the individual bony surfaces of the joint to protect the joint from shocks and forces. It also prevents these surfaces from coming into direct contact, which may impact on the flexibility of the joint and contribute to pain. However, cartilage may wear away or otherwise become dysfunctional over time. This may be associated with sacroiliac joint fusion over time, as mentioned above. Sacroiliac joint pain may also be associated with acute damage to the lower back or buttocks, such as that encountered in a motor vehicle accident. Other factors that affect the stresses or forces acting on the joint, such as activities that alter normal gait patterns or spinal position, may also contribute to sacroiliac joint pain. Another main factor affecting the incidence of sacroiliac joint pain is pregnancy. Hormones such as relaxin stimulate ligaments (which normally hold the joint in place) to loosen prior to childbirth. This contributes to successful delivery during labor, but also increases the risk of sacroiliac joint damage. The additional weight and pressure on the pelvis associated with pregnancy may also increase the probability of consequential sacroiliac joint pain. 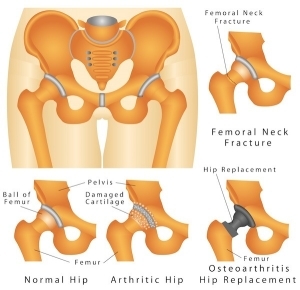 Treatments for sacroiliac joint pain also include non-drug treatments such as physical therapy. This typically involves conditioning and strengthening specific muscles associated with a pain condition. In the case of sacroiliac joint pain, this may include some of the muscular structure of the buttocks (e.g. the gluteus medius, which stabilizes the pelvis while moving the leg). Physical therapy may considerably reduce pain in this area. Chiropractic manipulation of the spine, in which a practitioner exerts manual pressure on the back to correct the effects of abnormal gait and joint strain, is also effective in some cases of sacroiliac joint pain. More advanced or severe cases of sacroiliac joint pain may require more interventional procedures. One example of these is sacroiliac joint injections. This involves using techniques such as fluoroscopy to accurately guide medications such as corticosteroids into the joint. These may be combined with local anesthetic drugs to enhance pain relief. These injections are associated with pain relief with an average duration of several weeks, but may vary in each individual case. Some patients may not respond to injection therapy, however. In this case, a patient can consider radiofrequency ablation for more direct intervention and long-term pain relief. This procedure involves the use of imaging technology to visualize the nerves that are responsible for the pain signals. A thin probe will then be inserted near these nerves, under local anesthetic. The probe emits radiofrequency waves that disrupt the nervous tissue associated with the pain signals. This may result in effective pain relief that may last for up to six months. 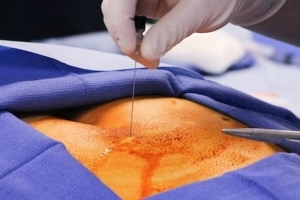 However, this procedure is associated with some risks, including permanent nerve damage. Therefore, a patient needs to discuss this option in-depth with their pain specialist before deciding if this intervention is right for them. The sacroiliac joint is a part of the interface between the spine and pelvis. It functions to stabilize the pelvis and facilitate childbirth. Sacroiliac joint pain may be associated with inflammatory conditions, accidental injury, or the loss of normal integrity or structure of the joint. Sacroiliac joint pain may be highly localized, or radiate outward through the rest of the pelvis. Treatment for sacroiliac joint pain includes drug therapy, chiropractic manipulation, and physical therapy. Patients with more severe or chronic pain may consider radiofrequency ablation or sacroiliac joint injections. If you have been diagnosed with sacroiliac joint pain, a discussion of your options with a physician or pain specialist will be of help with the management of this condition. Ackerman SJ, Polly DW, Jr., Knight T, Holt T, Cummings J. Management of sacroiliac joint disruption and degenerative sacroiliitis with nonoperative care is medical resource-intensive and costly in a United States commercial payer population. ClinicoEconomics and outcomes research : CEOR. 2014;6:63-74. Shen FH, Samartzis D, Andersson GB. Nonsurgical management of acute and chronic low back pain. The Journal of the American Academy of Orthopaedic Surgeons. 2006;14(8):477-487. Yoo WG. Effects of individual strengthening exercises on subdivisions of the gluteus medius in a patient with sacroiliac joint pain. Journal of physical therapy science. 2014;26(9):1501-1502. Scholten PM, Patel SI, Christos PJ, Singh JR. Short-Term Efficacy of Sacroiliac Joint Corticosteroid Injection Based on Arthrographic Contrast Patterns. PM & R : the journal of injury, function, and rehabilitation. 2014. Dawson PU, Dewar NA, Tulloch-Reid D. Fluoroscopy-guided Intra-articular Sacroiliac Joint Steroid Injection for Sacroiliitis in Ankylosing Spondylitis: A Case Report. The West Indian medical journal. 2014;63(1):109-111. Aydin SM, Gharibo CG, Mehnert M, Stitik TP. The role of radiofrequency ablation for sacroiliac joint pain: a meta-analysis. PM & R : the journal of injury, function, and rehabilitation. 2010;2(9):842-851.